Approximately 70 percent of North Korean refugees are women. 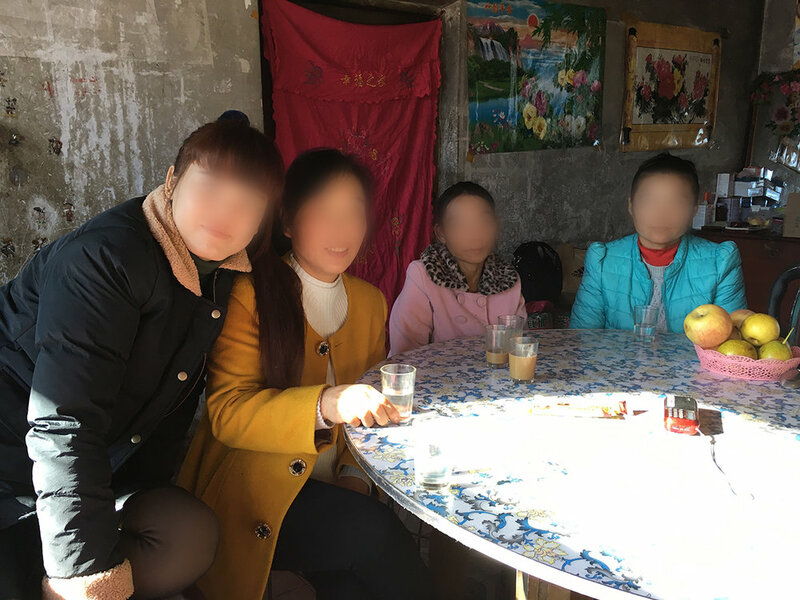 Of these refugee women, 80 percent have been victims of an expansive system of human trafficking in China. Without any protection from the government refugees remain at risk of being arrested and deported back to North Korea. If possible, Crossing Borders field staff works to attain Chinese identification for North Korean refugees in hiding. When necessary, refugees may wish to escape abuse, flee danger from the authorities or seek safety by leaving China. In such instances, Crossing Borders connects them with the right resources or guides to travel through the Modern Day Underground Railroad to South Korea. Organizing and supporting safe houses is a major part of Crossing Borders’ work in China. Our organization provides the resources for North Korean refugees to find homes in areas with less police scrutiny. Crossing Borders helps North Korean refugees gain access to medical professionals who join our teams in China. Check-ups and examinations are provided both by doctors we can bring to China and those we can find in the country. Pharmaceuticals are rarely available for North Korean refugees with ailments and illnesses. Crossing Borders staff works with doctors from China and America to bring the right medicine to North Korean refugees in need. Crossing Borders believes that it can be both dangerous and unhealthy for refugees to be financially dependent on the organization for an extended period of time. Our organization works alongside North Korean refugees to help them attain financial independence. With micro-loan programs, Crossing Borders hopes to give refugees the opportunity to build their own means to support their families and actively participate in their financial well-being. North Korean refugees who have experienced the famine and the trauma of labor camps need much more than material stability. To respond to the emotional and spiritual scars of their past, Crossing Borders provides Christian counseling. Crossing Borders also provides access to field ministers in China who are building churches with North Korean refugees. These communities are a place of safety, comfort and transformation for North Korean refugees as they receive the Christian gospel. Over 80 North Korean Refugee women are beneficiaries of Crossing Borders’ network in China. The following are examples of our ongoing expenditures to help North Korean refugees on the field. Though not all of the North Korean refugees in Crossing Borders’ care need immediate financial support or medical attention, there are those with severe chronic ailments and individuals who live in immense poverty with no source of income. While it is the objective of Crossing Borders to provide non-monetary support to North Korean refugees, there are circumstances where refugees and their families need financial help. It can be extremely difficult for missionaries and field staff to reach North Korean refugees in their local communities. Safety and caution are of the utmost priority in Crossing Borders’ operations in China. In order for much of the work Crossing Borders accomplishes in China to be effective and consistent, Crossing Borders’ missionaries must take several precautions in travel. Finances to support the transportation of both missionaries and refugees traveling in China protects our employees and the people they serve. One of the most vital resources for North Korean refugees is community. North Korean refugees often feel the constraints of geography in addition to those of language. Due to their extreme isolation, there is no one with whom North Korean refugees can share their experiences. Avenues and channels of community do not exist. Many of the North Korean refugees and staff who currently work in the Community & Church-Building Project are those who must travel across multiple provinces in China to organize small, local communities where North Korean refugees who have accepted the gospel can hold underground church services together. The finances for this project help to provide the necessary staff and materials to accomplish these efforts. In order to support this operation, staff have been hired to oversee churches and to search out new areas with more refugees who need help. Many of the North Korean refugees who have been supported have taken our help and gone out to bring even more North Koreans into Crossing Borders’ care. Crossing Borders’ ongoing projects to build church communities with North Korean refugees are in an effort to help North Korean refugees learn about the Christian gospel, to find support and encouragement, and to share the compassion and care they have received with other North Korean refugees they encounter. Refugees receive ministry resources, have an annual retreat with Crossing Borders’ staff, and are trained to care for themselves and build communities of faith. All of this is done in a community fostered to grow together and strengthen one another.